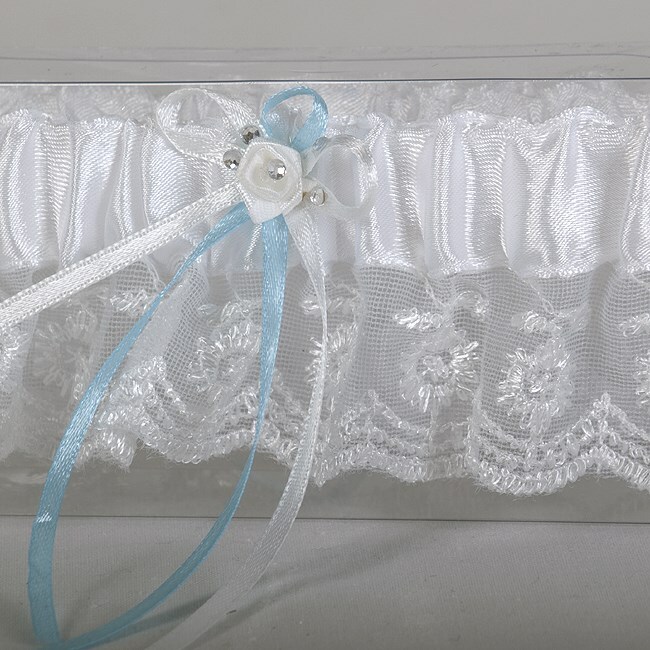 DescriptionThis delicate lace trimmed garter features a ribbon rose trim adorned with small diamantes and finished with a satin bow blue ''for something blue'' Size 5.5cm deep on an elasticated satin band. Complete with clear keepsake box. 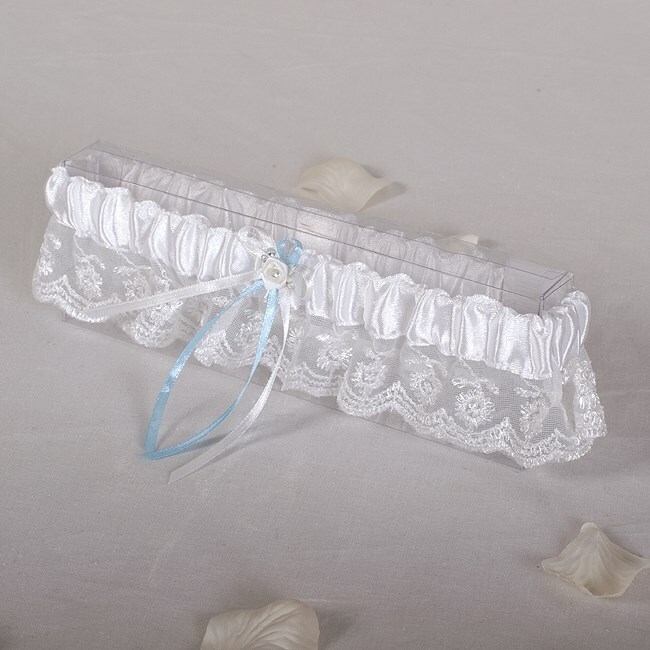 Size 5.5cm deep on an elasticated satin band. Complete with clear keepsake box.